Mothers today juggle more tasks, work longer hours, and sleep less than their own mothers did. Yet the self-healing revolution has overlooked the most significant issue in the lives of some twenty million women: how to cope with the relentless, sometimes overwhelming, stresses of raising young children in the twenty-first century. 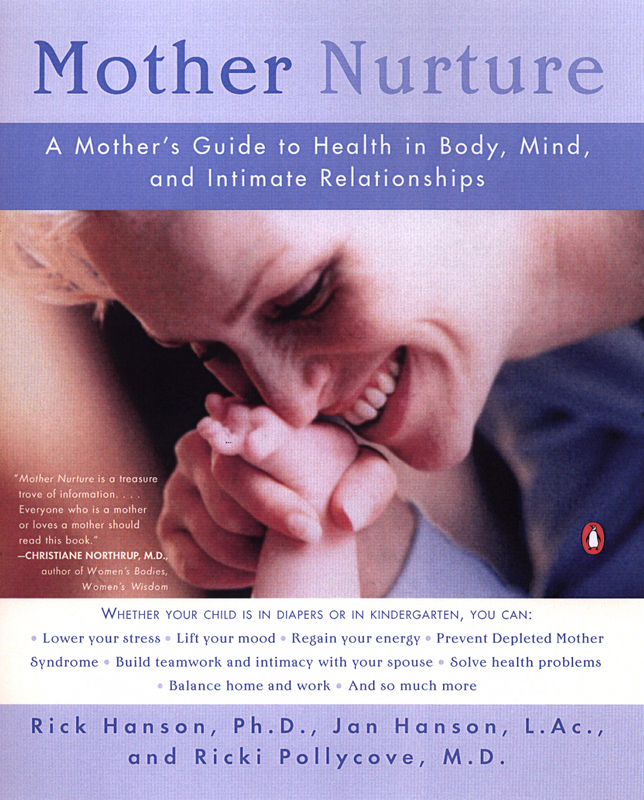 integrates the perspectives of a psychologist, acupuncturist/nutritionist, and obstetrician/gynecologist. This is more than another self-help book. With compelling evidence (see references below), clear logic, and heartfelt personal testimony, it is a manifesto for an idea whose time has come: that our society absolutely must take better care of its mothers – and by doing so, take better care of its fathers, children, and families. When Kids are Distractible or "Hyper"